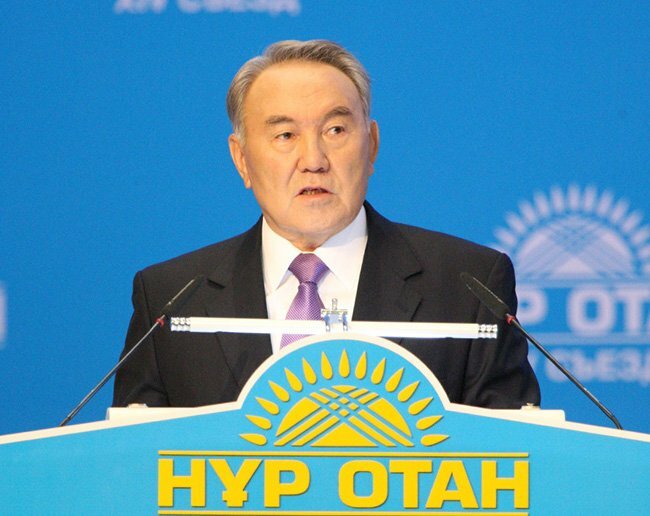 Is Kazakhstan’s Nazarbayev the Lee Kwan Yew of Central Asia? When Singapore was expelled from Malaysia in 1965, the prospects for the newly-orphaned country were not positive. Weak, lacking resources, deeply divided along racial fault lines and surrounded by hostile neighbors, during his 25-year rule Lee Kwan Yew was nonetheless able to transform the small city-state into a thriving hub of the global economy and one of the world’s most prosperous societies. His efforts have won him praise the world over as a preeminent statesman and several leaders have sought to follow in his footsteps. 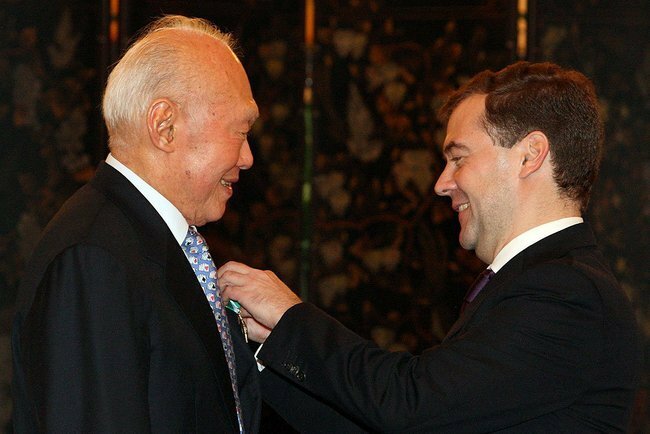 Few have been more vocal about their intention to emulate Lee’s success than Kazakhstan’s Nursultan Nazarbayev, whose most recent reference to the Singaporean founding father came in recent comments ahead of a snap presidential election in which he hinted that he was inclined to step down but remain in an advisory function, much like Lee did in 1990. Despite the rhetoric and cosmetic moves to transform the country into the “Singapore of Central Asia”, Nazarbayev has significantly less to show for his nearly quarter century in power. 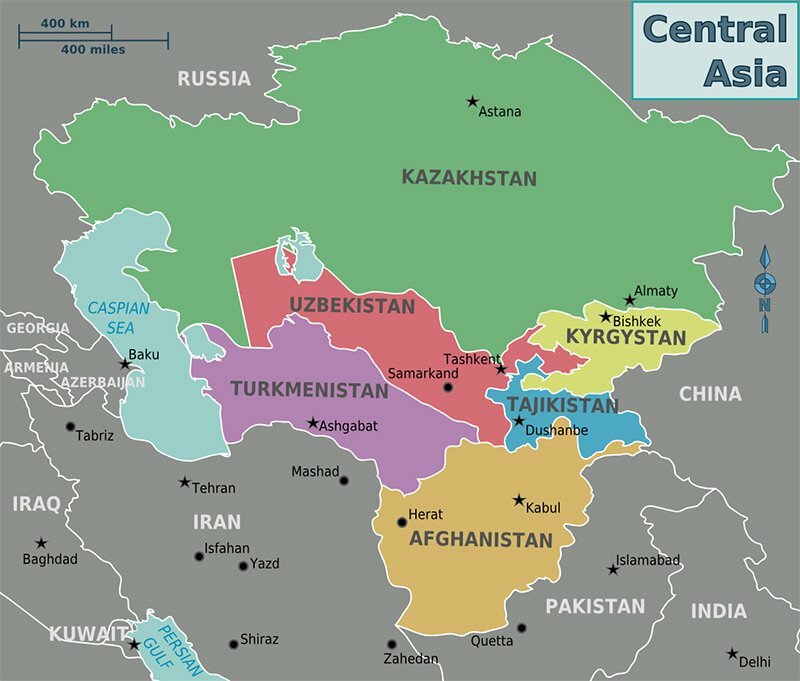 When Soviet Central Asia was reluctantly forced into sovereignty as the USSR began to crumble, each of the five “stans” comprising the region embarked on divergent paths. While Tajikistan descended into civil war and Kyrgyzstan experimented with Western-style democracy, Uzbekistan and Turkmenistan fell under despotic authoritarian rule. Kazakhstan, the largest of the five former Soviet republics in Central Asia, fell somewhere along the middle of this spectrum, with Nazarbayev preceding over a notably milder authoritarian regime which had enjoyed, until recently, some success in staking a middle ground between an omnipresent Russia, the West and a rising China. Kazakhs enjoy a significantly higher standard of living compared to neighboring former Soviet republics, much of it financed through the country’s vast oil and gas yield. 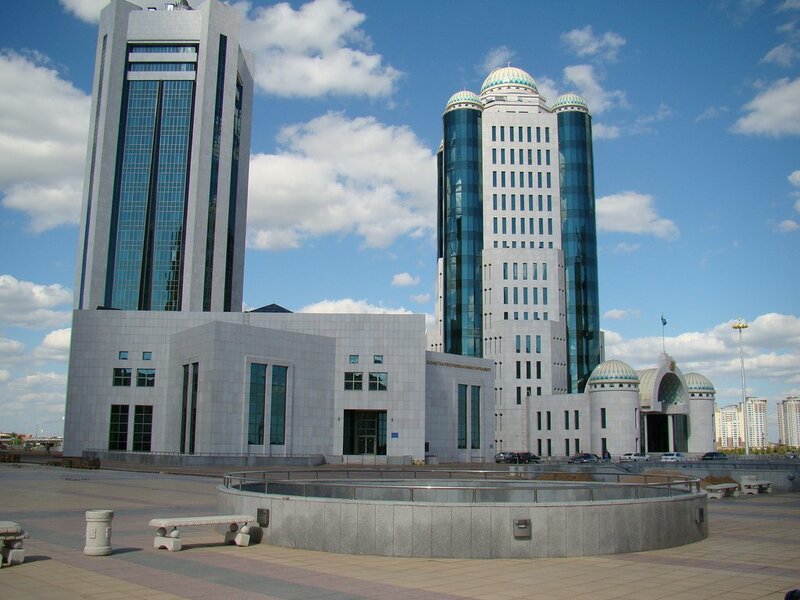 A visit to Kazakhstan’s showcase capital Astana or financial hub Almaty certainly present the image of a booming country well on its way to a fully developed economy. However, the country’s perceived prosperity and its leader’s legacy rest on far shakier grounds than that of Singapore and Lee Kwan Yew did back in 1990. Unlike Singapore, which transformed itself from an entrepôt with no resources into a manufacturing powerhouse and eventually a booming financial center, Kazakhstan has been able to produce high economic growth rates not by developing a robust manufacturing base or a diverse service economy but by attracting overseas investments from oil and gas companies and exporting an ever increasing amount of fossil fuels. Oil, gas and their derivatives continue to comprise an overwhelming percentage of the country’s economic output. Kazakhstan 2050, a grand plan devised by Nazarbayev to lead the country into the elite group of advanced economies seems like it is still far from feasible implementation without a more serious commitment to lessen the economic dependence on natural resources Kazakhstan have come to be accustomed to. Each of the five “stans” embarked on divergent paths, the USSR began to crumble. Some recent volatility in oil prices highlighted how exposed economies with a lack of diversification can be. Russia, Kazakhstan’s main trading partner, experienced a sharp downturn in December as tensions with Ukraine coupled with plummeting oil prices caused a run on the ruble. Nazarbayev’s speeches from the time hinted that he foresaw Kazakhstan experiencing a similarly shaky months ahead of it. Besides inheriting an economy easily thrashed by the whims of the global energy market, Nazarbayev leaves the country a political structure that although authoritarian like Singapore’s, is much more coercive but less responsive. In the heyday of the “Asian values” arguments for the rise of the East Asian Tigers, Lee Kwan Yew was one of its strongest supporters and used Confucian philosophy to justify the need for soft authoritarianism in order to produce peaceful, prosperous and just societies. Nazarbayev’s rule is in no way guided by a Confucian “mandate of heaven” or other Asian values but rather what could be termed “Soviet values”: corruption, nepotism and bad governance. Internationally, Kazakhstan lacks the independence its rhetoric seems to imply at first glance. Widely perceived as being a reluctant yes-man to the Kremlin (although perhaps not nearly as much as neighboring Kyrgyzstan and Tajikistan), its moves towards strengthening ties to the West and China have not prevented it from falling into Moscow’s economic sphere by means of the Eurasian Economic Union, which was originally the brainchild of Nazarbayev and meant to cement Kazakh leadership in the region. Although reports of Russia eyeing territory in Northern Kazakhstan are fundamentally unfounded, Kazakhstan has still none the less become too close to a Russia with seemingly little regard for its junior partner in the region. Regardless of whether Nazarbayev decides to leave the presidency and enter semi-retirement as he has suggested in recent weeks or continue to stay in power, the historical judgment as the paramount leader of the country he has led since independence seems to be clear: Kazakhstan is no Central Asian Tiger and Nursultan Nazarbayev is no Lee Kwan Yew. Miguel Oropeza is a San Francisco based Consultant on Asia and Latin America. A graduate of UC Berkeley, he attended Osaka University as an exchange student and has had a professional interest in Asia ever since.